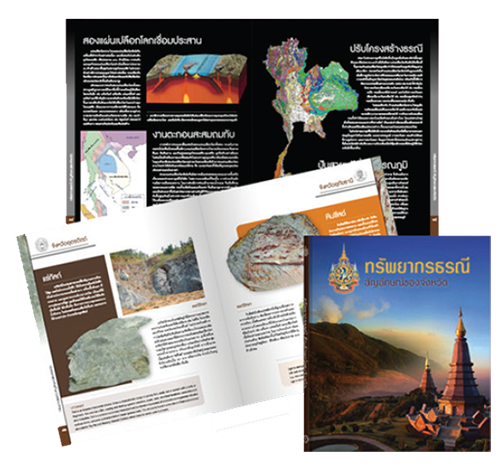 Geoscientific information is regularly provided to the Royal Thai Government through the Ministry of Natural Resources and Environment (MONRE), especially during mobile cabinet meetings, which are normally held and oriented in various provinces around the country. Occasionally, geoscientific documents on specific issues are prepared to support the Thai Parliament and concerned government agencies. 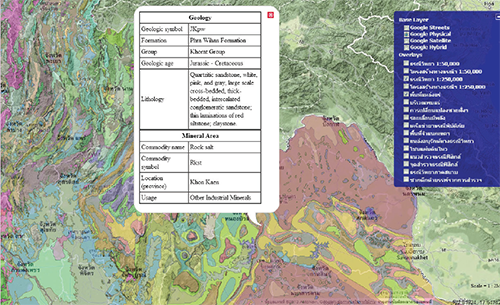 DMR usually provides information to the public in various forms, e.g., technical reports, geological maps, posters, books, leaflets, videos and websites. Furthermore, the information is also distributed through other forms of activities and media, e.g., training caurses, meetings, seminars, libraries, and geological museums.